There’s been lots of heroes in rock n’ roll, but only a handful that reached legendary status like Jerry Garcia. Sure he was a talented string-instrumentalist, and perhaps an even more talented songwriter. But as de facto leader of one of the world’s most celebrated and influential bands, Garcia’s legend status was much larger than your other gifted musical contributors. We’ll blame it on a strange mix of lifestyle, attitude and perfect timing. But like with most the legends we canonize, there’s another, darker, side of the story. For Garcia, the story was, sadly, pretty typical: A lifetime of drug abuse and struggles with addiction took a toll on his health and finally took him out with heart failure at the young age of 53. This week would have marked his 75th birthday. 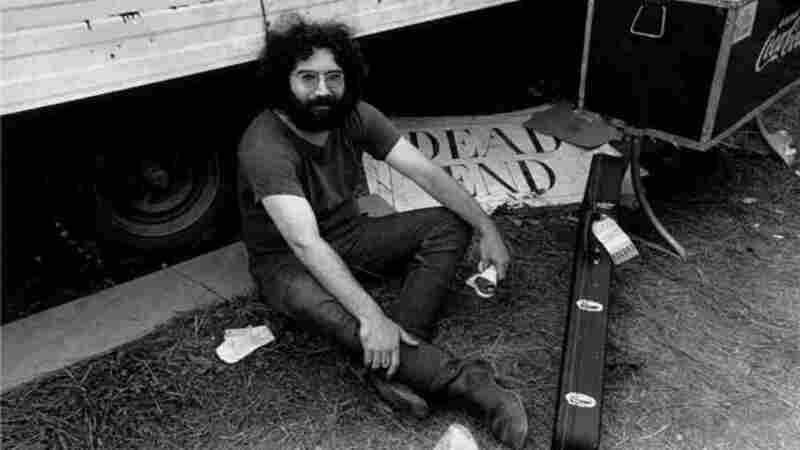 It’s staggering to imagine what Jerry would be like as a 75-year-old, were he to have made it that far. Would he still be making music? Would he have shifted his creative energies elsewhere? What would he think of today’s entertainment culture? Considering his tenure with the Dead lasted only thirty years, and it’s been 23 years since his death, we can only imagine what all he would be known for today. But unfortunately, like with most our great legends, imagination is a game of meaningless conversation and fodder. We don’t get to know the answers. The world is celebrating Jerry’s birthday this year, starting with the release earlier this summer of Amir Bar-Lev’s four-hour documentary, Long, Strange Trip. We invite you to celebrate with those who knew Jerry best – his friends and bandmates from the Dead and other acts by which he was associated. 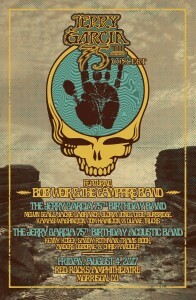 Bob Weir and his backing band will host a special concert in Jerry’s memory this Friday at Red Rocks in Morrison, Colorado. The event will feature a long list of former pals and admirers: Original Jerry Garcia Band members Melvin Seals, Jackie LaBranch and Gloria Jones, plus Oteil Burbridge, Kamasi Washington, Tom Hamilton and Duane Trucks. 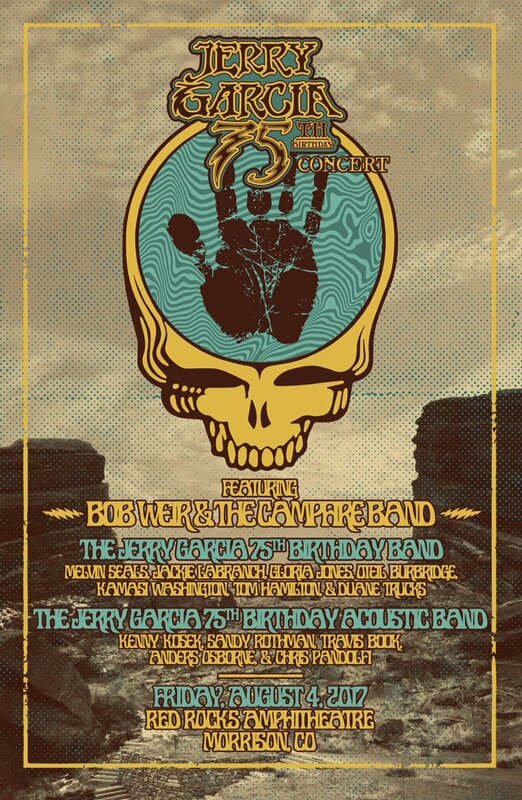 The concert will also include a set form the “Jerry Garcia 75th Birthday Acoustic Band,” featuring Kenny Kosek, Sandy Rothman, Travis Book, Anders Osborne and Chris Pandolfi. Tickets are on sale now at AXS.com, but you don’t have to buy a ticket and hit the road to enjoy the show. Event organizers announced Monday they will live stream the event HERE.